An experienced anti-terrorist British agent in northern Italy has suddenly, and against all instructions, broken out from deep cover. His superiors in London desperately need to know why. The search is on. Two fellow agents, Macbride and Cromarty, are given the task of locating him and finding out the reason for his action. How does the Air Force veteran who is working with his team on surveillance know so much? Can the beautiful Claudia offer any answers? Who are the shadowy characters trying to silence their sources? And what is the coded secret hidden in a cemetery? 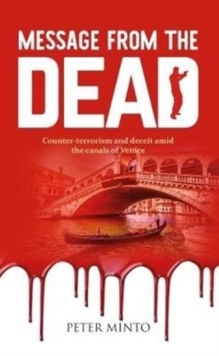 A tense, page-turning story of deceit and subterfuge set mainly in the sunshine and romance of Venice.